Panglong village is a village located on the northern tip of Bintan Island Teluk Sebong District, located 1 hour ride from the port of Bandar Bentan Telani. 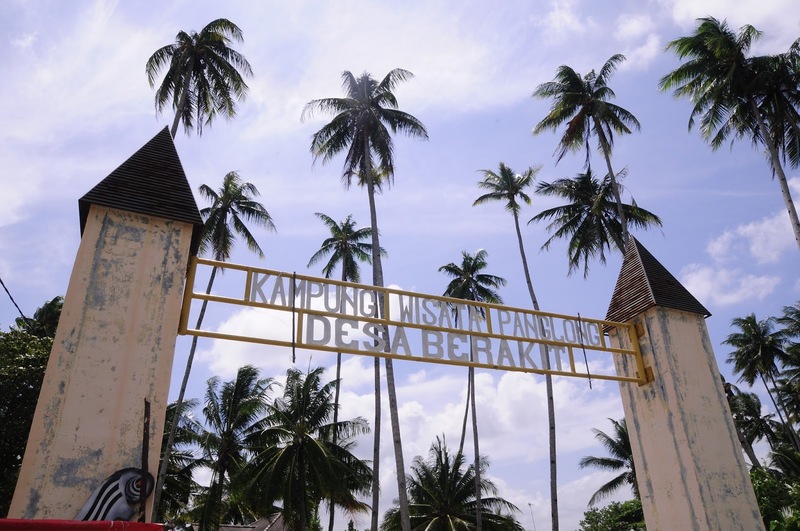 At first glance when entering this kampung there is nothing different and special with the fishing village that once the author visited before on the bintan island, except a gate built permanently inscribed Kampung Wisata Panglong Berakit village. 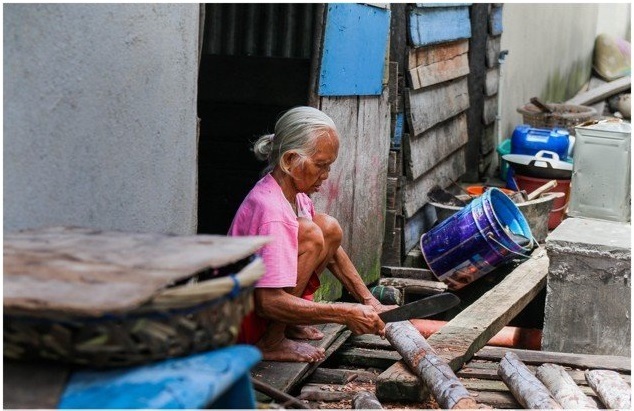 The activities of the villagers look normal, the children play by the sea, help the parents clean the fishing gear, and some of the children are playing with their pets, the mother's mother is sitting sitting and talking in front of the house, At a warung in the village, seen several men working on completing a construction. 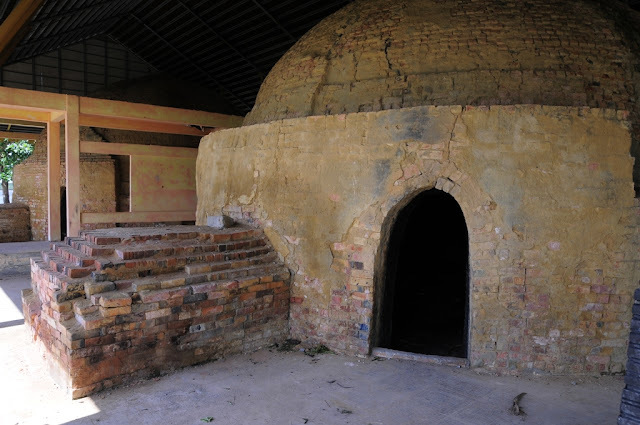 In the middle of the village there are some interesting sights, the first is there are several buildings made of piles of bricks are arranged in such a way to form "Dome", ala house tribe "Eskimo", it turns out this is called "Dapur Arang" in Kampung Panglong. According to the local community, panglong village is known as one of the producers of charcoal on the island of bintan. 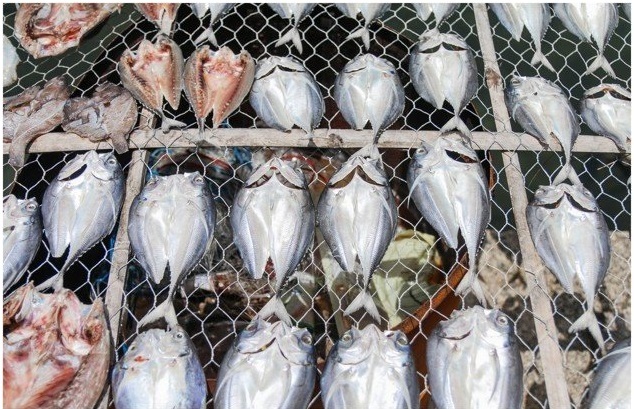 In addition to being a fisherman, the people here also work as laborers in the charcoal kitchen, after the government's decision to ban the operation of the charcoal kitchen, people again rely on the results Sea. According to some historical sources, the existence of sea gypsies in the waters of Bintan and riau islands have existed for centuries, they spend more days and more lives in the sea, kajang sampan becomes home to them, a family of sea gypsies usually have two canoes, one sized boat Great for cooking, sleeping and so on, while smaller boats they use for hunting, such as fishing and hunting dugong. They would just land ashore to fetch clean water for drinking and cooking, repairing their canoes and avoiding storms at sea. The sea gypsies communities today mostly work as traditional fishermen, with a skill that catches fish from generation to generation is very good, sometimes also they are invited to become a "guide" of hobby fishing activities fishing to hunt fish, then pack boncet told to We how to detect the area that there are many fish only by listening to the reflection of sound from the clash of sea water with rocks in the sea from the floor of the boat. They are reliable Dugong hunters and sophisticated detecting devices in finding Dugong (mermaids), using the instincts and signs they learn from nature. The Sea Gypsies as they are also known, have traditionally lived nomadic lives in simple boats off the coasts of Indonesia. In efforts to introduce better education and accountability for its people, the Indonesian government constructed this village to introduce land ownership exclusively for the sea gypsies to entice them to return to land. Even though they no longer live in their boats, the Orang Laut still adopt old ways of life including hand-making their own boats and fishing nets, and having their as main source of income. The people here live simple lives but they are filled with joy. 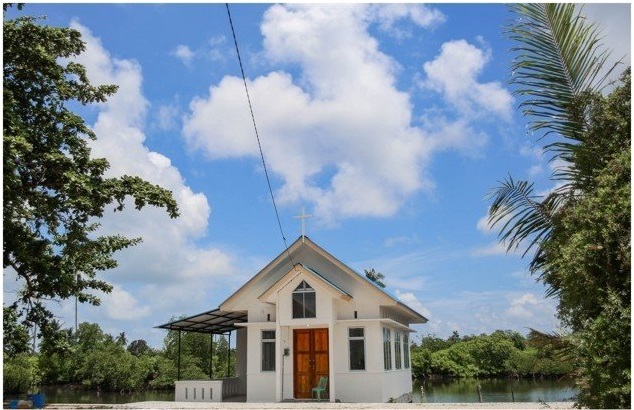 The presence of both a cathedral and a mosque within close proximity to each other is a testament to the fact that the Orang Laut live together in harmony despite their differences. For a different side of Bintan island and chicken soup for the soul, I highly recommend having this as an item on your itinerary. It’s a nice gesture to bring some sweets and snacks for the children of the village when you visit and helps them to warm up to you too! Mengenal bahan tambahan pembuatan kue sangat diperlukan bagi pemula, agar tak salah memasukkan bahan kedalam adonan. Sangatlah penting mengetahui fungsi dan kegunaan masing-masing bahan tersebut. Pembahasan dibawah ini semoga dapat membantu. Generally, there are rather few monasteries dedicated to the Ksitigarbha Bodhisattva, 地藏王菩萨. In Tg Pinang on Bintan Island, Indonesia, there is an interesting Ksitigarbha Bodhisattva Vihara dedicated to the Buddhist Bodhisattva. A yellow signpost points to the entrance of the vihara where visitors enter a gate at the foot of a hill. A short climb up the slope, the visitor is greeted by a sculpture of Ksitigarbha Bodhisattva reach out to beings in the lowest realm. Senggarang is a tourist attraction place, it’s a pityto pass awaywhile you are inTanjungPinang. Thissiteis the settlementof ethnicChinesewhohave beenthere for hundredsof years agoinBintan. Untilnow, thepeopleare friendly andstill adhere totheir ancestorsas well ascustomhomesin themediatororon the water, being offeredby theunique characteristicsof thisobject. Tanjung pinang and Senggarangis opposite.ActuallySenggarangIsland is veryconvenient place tofindpeaceor a awayfrom city life.But,indeedmost peoplewhocomefromSingapore to here for pray because a lot ofthetemplehere. Bintan Island or Negeri Segantang Lada is an island in the Riau archipelago of Indonesia. It is part of the Riau Islands province, the capital of which, Tanjung Pinang, lies in the island's south and is the island's main community. Bintan's land area is 2,402.28 square kilometres (927.53 sq mi) (total area is 60,057 square kilometres (23,188 sq mi) including 96% sea area). Its administrative region is designated the Bintan Island Regency, one of the six administrative regions of the Riau Islands province. The city of Tanjung Pinang is an autonomous area within the Bintan Island.